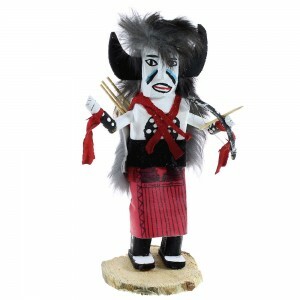 Kachina is approximately 8" tall including a 3/8" base and is 4" wide at widest points. 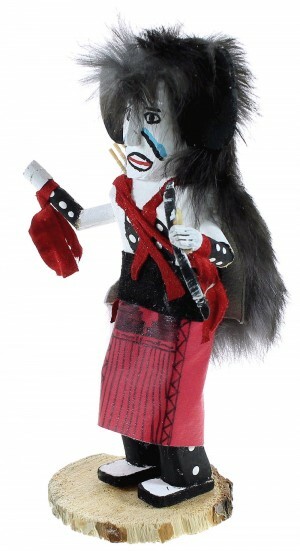 The Buffalo Dancer or Kocha Mosairu is not a Kachina, but rather a social dancer. It is usually seen in ceremonies in January on First Mesa. It is a doll that most carvers do not mind doing as part of their repertoire. 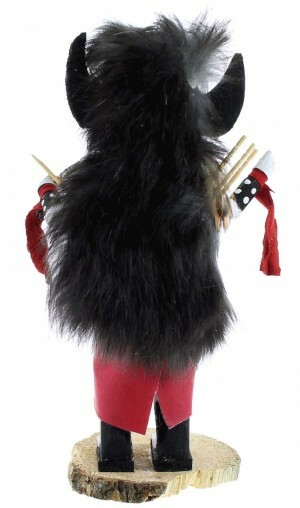 His popularity began from the works of Alvin James Makya who made one of the first dolls. It is now a favorite among collectors. All animals are an important part of the Hopi culture, they are believed to provide guidance, health, and protection. 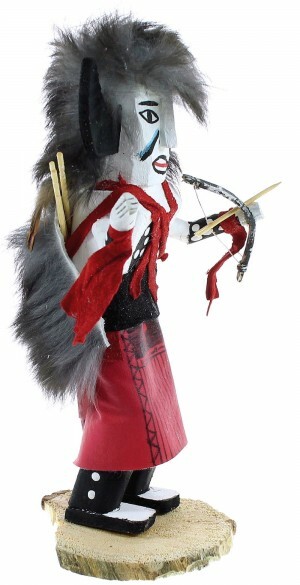 This Kachina doll was hand crafted by Navajo Craig Begay. 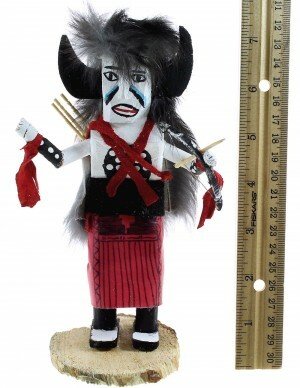 Kachina is approximately 8" tall including a 3/8" base and is 4" wide at widest points. 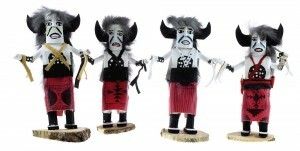 Group photo displays the slight variations in the kachina dolls, you will receive one of the ones in the group photo of our choosing.